Contrappunto is inspired from the classic venetian tradition. 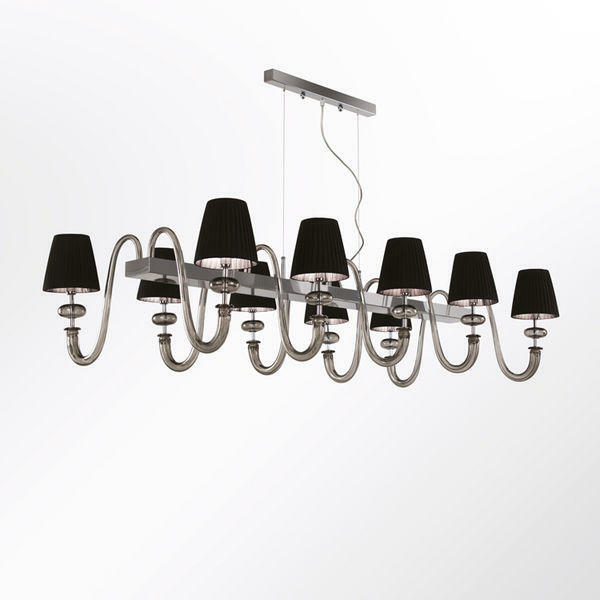 Traditional are the black plissè silk lampshades and the grey glass arms; unusual and more modern is the assembly of these elements, that have been fixed to a rectangular chrome structure. 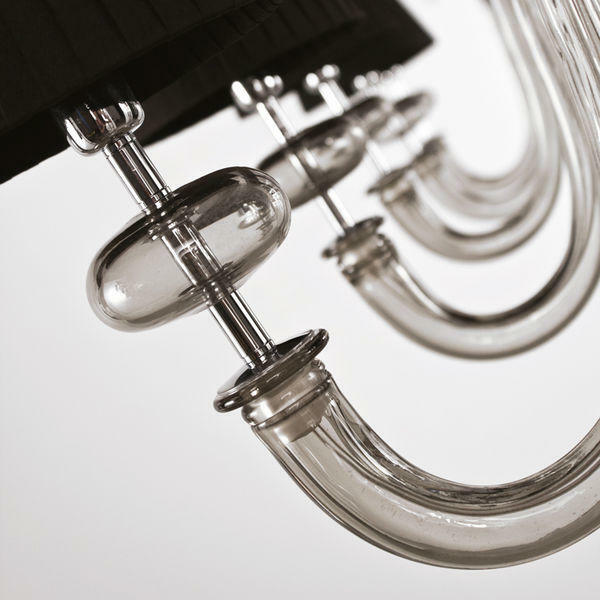 The attention to details, the precision of the alignments and symmetries are paramount to create a lamp like this one. The linearity and simplicity of the metal structure is combined with the delicate and sinuous glass elements; the light bulbs are covered with the plissè fabric lampshades, thus creating a suffused and natural lighting. Contrappunto can be realised in many different sizes and colours.